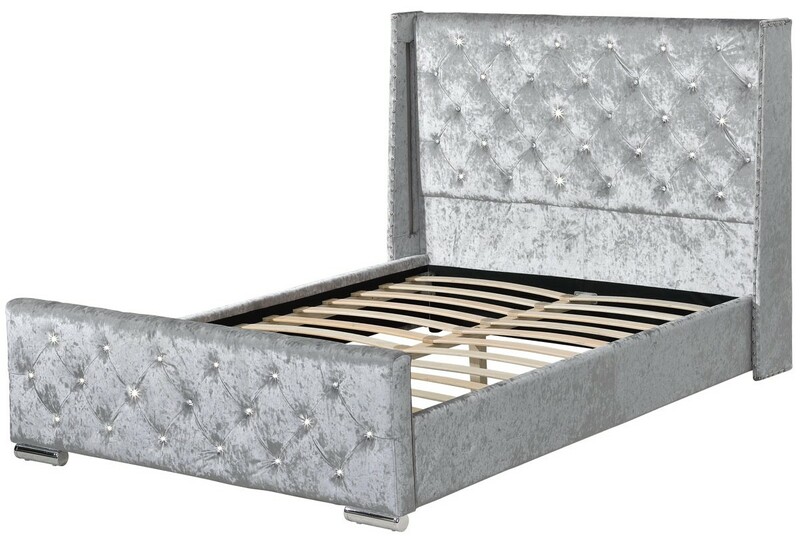 The Dorchester will make an impressive statement for any modern bedroom. 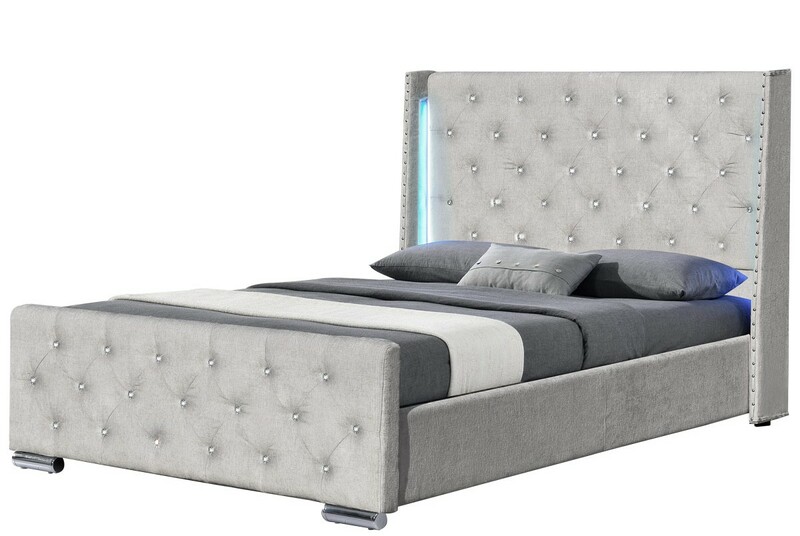 It's winged headboard has an LED panel down each side emitting a beautiful glow. 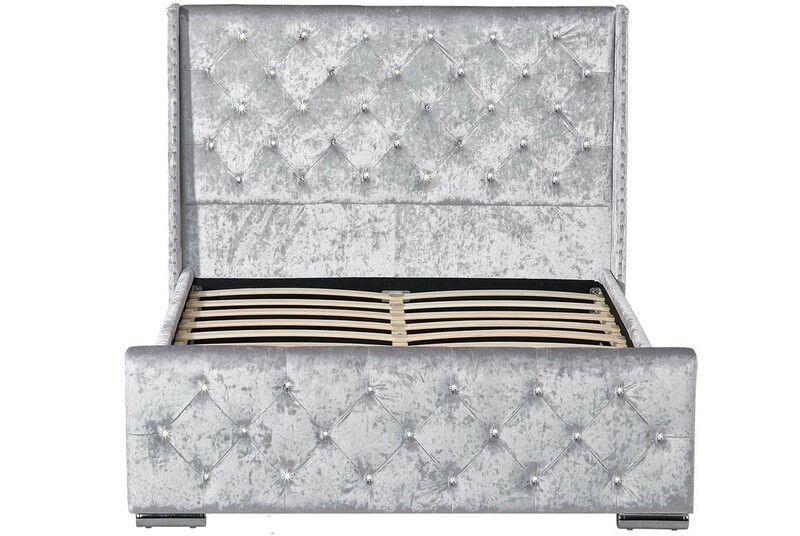 The traditional deep buttoned head and footboard is studded with sparkling diamantes, finished in your choice of luxurious silver crushed velvet or grey-silver chenille fabric upholstery. • Length 217cm x Width 165cm. • Floor To Slats: 27cm. 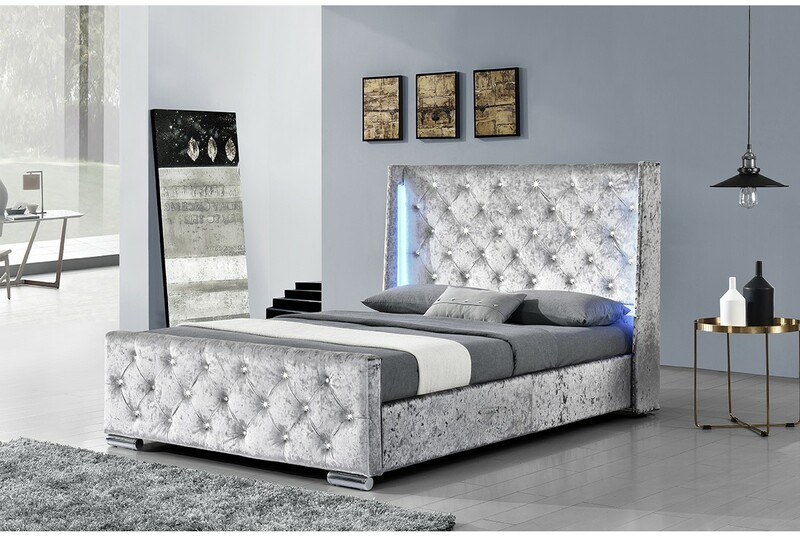 The Dorchester will make an impressive statement for any modern bedroom. 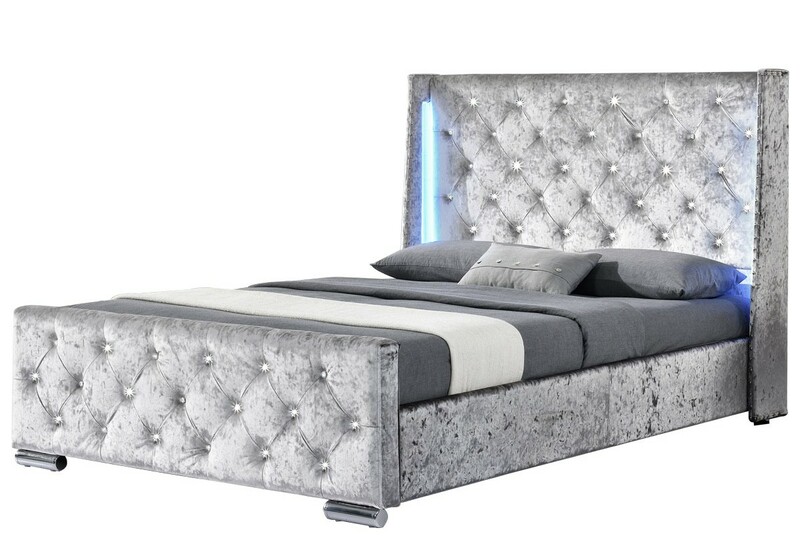 It's winged headboard has an LED panel down each side emitting a beautiful glow.